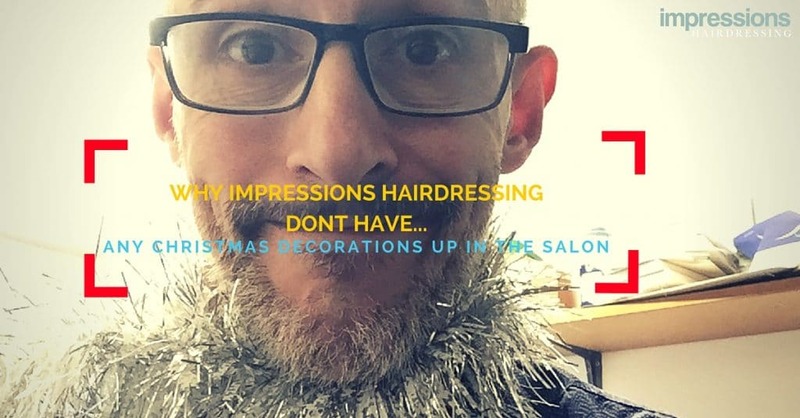 We do not put up Christmas decorations in the salon. Sometimes I get called Grinch! While there is a bit of the old, I hate Christmas hype about me. 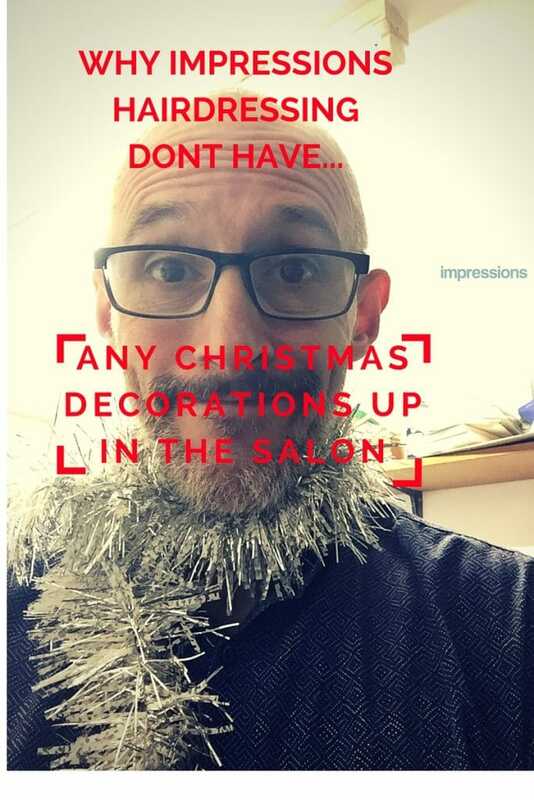 This is not the actual reason there is a lack of decorations in Impressions towers.